We offer various maid service options including basic house cleaning, oven cleaning, window washing, furniture treatment, and more. Our dedicated team is available on a weekly, bi-weekly, or monthly basis. We also offer a one-time option. Using our top-notch equipment and specially formulated products, we thoroughly clean and sanitize each room. At Merry Maids of Phoenix, AZ, we guarantee a worry-free house cleaning and apartment cleaning service with an emphasis on customer satisfaction. If by chance you are not completely satisfied with your experience, let us know within one business day, and we will offer you a re-clean at no additional charge. Contact us today and inquire about our free estimates. We look forward to serving you. We are so proud to introduce Bella Estrada, our Team Member of the Year! 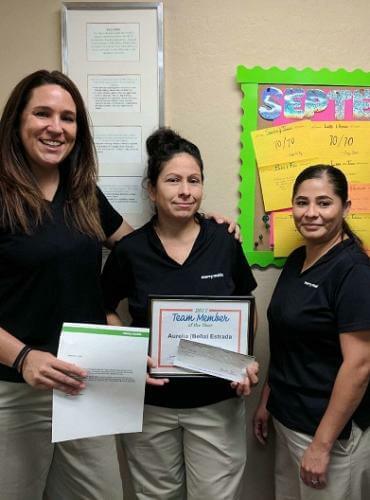 Bella celebrated 12 years with Merry Maids in June of this year and is our most tenured team member. 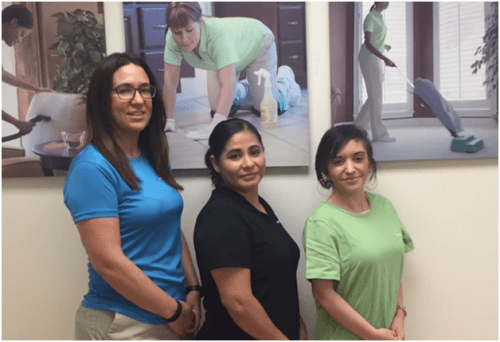 In Bella's career with Merry Maids, she has cleaned over 9,500 homes!! Her schedule is filled with regular clients who truly appreciate Bella's consistent, quality service and her dependability. Her customer satisfaction score remains in the high nineties month after month. Congratulations and Thank You, Bella!